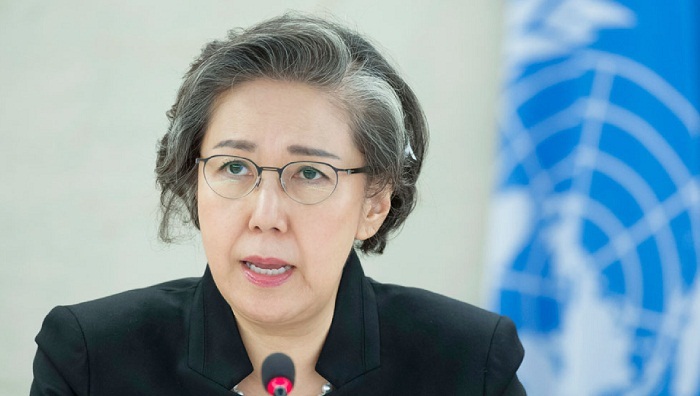 The UN Special Rapporteur on the situation of human rights in Myanmar, Yanghee Lee, will visit Bangladesh soon apart from her visit to Myanmar’s another neighbour Thailand. Lee’s two-nation visit will begin on January 14 and end on January 24, according to a message received from Geneva on Friday. The UN Special Rapporteur will visit Thailand from January 14 and then travel to Bangladesh on January 19 where she will visit Dhaka and refugee camps in Cox’s Bazar. “I still seek to engage with the Myanmar government and I remain committed to my mandate to monitor the situation of human rights in Myanmar. I’ll continue to meet with people from Myanmar and speak out about human rights issues that occur around the country,” said Lee. She will hold a news conference on January 24 at 5pm at the Ascott The Residence Dhaka in the city.